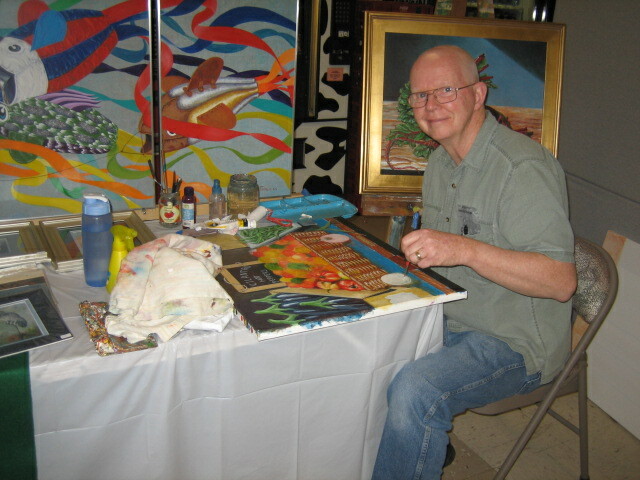 This is a photo of me working at the Greater Salem Artists Association 24th Annual show at the Woodbury School. 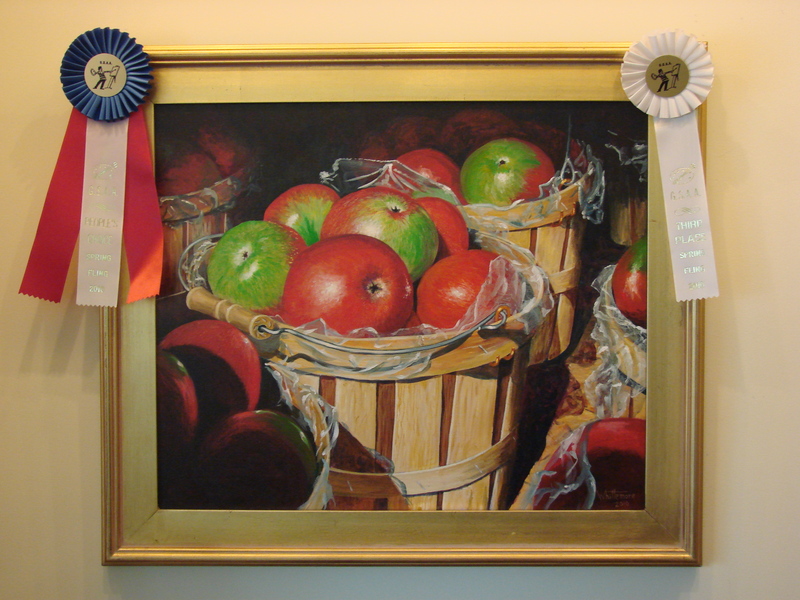 I won a 3rd place ribbon for Apples in Sunshine, and the painting also won a ribbon for “People’s Choice”. A good day overall! I had a constant stream of folks at my display, and I ended up painting on my demonstration piece for about 30 minutes. I spent the rest of the day interacting with fellow artists and visitors to the show. I want to thank all of you for coming to the show, and for your generous support. My next show will be held by the Art Institute Group of the Merrimack Valley and will be held on Saturday, June 12 and Sunday, June 13th at Mann Orchards in Methuen, MA. I hope you all can make this show. More information to follow. 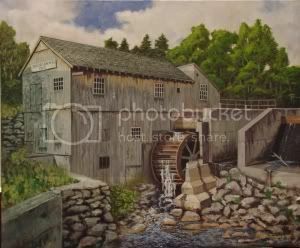 This entry was posted in Events, Paintings and tagged art show, Merrimack Valley, paintings, ribbons. Bookmark the permalink.